Series of images taken on the nights of 27/28th March. 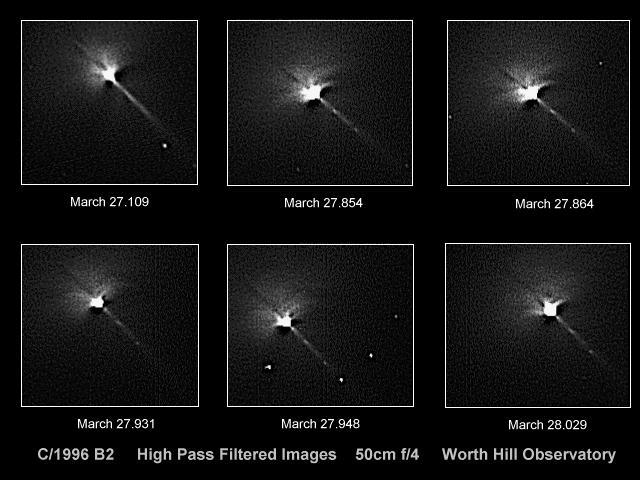 All are six second exposures of with my 50cm f/4 Newtonian and SX CCD and have been processed with a high pass high power filter to accentuate the nuclear jets. I thought they may be of interest. Thanks for another great comet page!